This skill-building beginner's guide reveals the secrets of capturing humor and expression in caricature carving. Learn to transform small blocks of wood into expressive little people with illustrated cut-by-cut instructions. Basic information is included on wood, tools, sharpening, cutting, safety, finishing, repairs, and more. Carving the Little Guys presents an accessible introduction to the art of caricature carving for beginning woodcarvers. 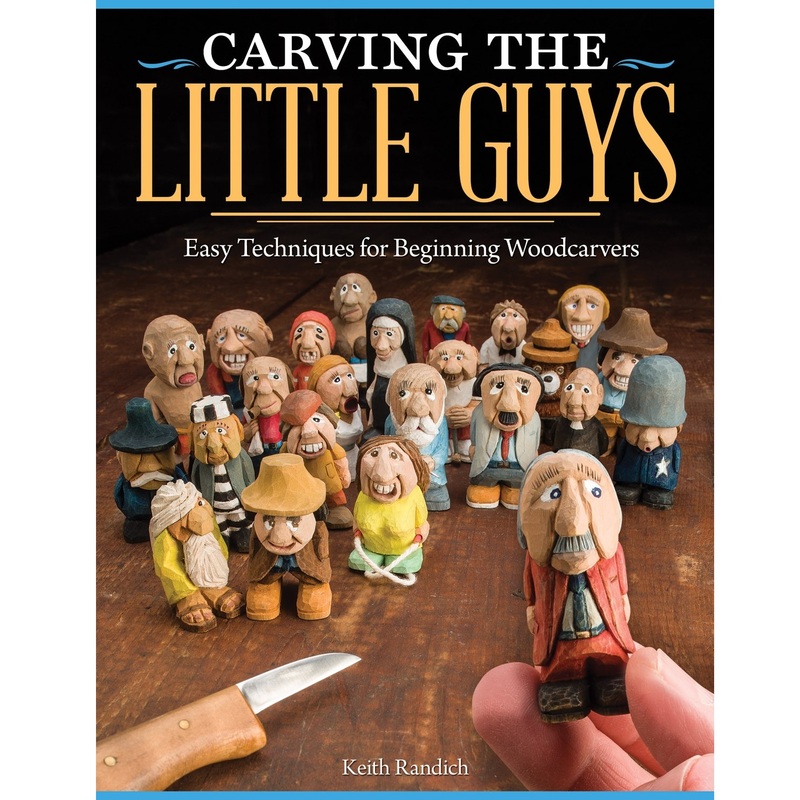 Author Keith Randich takes you cut-by-cut through the process of transforming a small block of wood into an expressive Little Guy. This easy-to-learn tutorial teaches all of the essential techniques needed to get started in an enjoyable and rewarding new hobby. Basic information is included on wood, tools, sharpening, cutting, safety, finishing, repairs, and more.